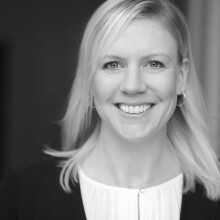 MarketingDirecto.com spoke with Julia Janssen-Holldiek, Director of the Certified Senders Alliance (CSA) about the relevance of email, email marketing, and the value of CSA certification. DMEXCO took place again in September in Cologne (Germany), presenting itself as one of the most important events on digital marketing. There, MarketingDirecto.com spoke with Julia Janssen-Holldiek, Director of the Certified Senders Alliance (CSA), one of the best alliances when it comes to improving the quality of email delivery. There are many who think that email marketing is obsolete, but to what extent is this true? Isn’t it one of the most effective channels for reaching users today? “Email marketing is very effective, which is why companies invest in it – and many are even increasing this investment. It’s not as traditional as some people think. New functions are appearing constantly,” explained Julia. The Director of the CSA said that this trend will gain more popularity in the coming years due to email’s extensive functions. “You can personalize it, it’s relevant, it has a lot of personality... Emails, however, must always be relevant and respect data protection,” she added. To increase the quality of corporate emails, the CSA drafts legal and technical standards based on the law and requirements from mailbox providers. “The CSA standards reflect what is required in the marketplace, and we are not only committed to setting them, but to putting them into practice – which is more difficult. At the CSA, we certify senders who respect these standards and help them to improve their reputation,” she explained. On the question of who can become a certified sender and what the benefits are, Julia said that there are a range of advantages if a company gains certification, “such as legal and technical assistance from the CSA, the avoidance of fines, and increasing reputation, among many other aspects. But good email marketing is not easy, and the head of CSA explained to us that the basic elements are those that are written in the rules of the CSA: comply with the law and have the right technical setup. “But that on its own is not enough to ensure a successful email marketing strategy. In my opinion, what’s needed is to be sending relevant emails,” she said, adding that “the most important thing is that companies' communication channels are coordinated in terms of content, contact moments, and consumer preferences”. One thing that the CSA offers its customers is the opportunity to come together and exchange knowledge and experience with other certified senders. “In fact, we bring the email marketing community together in the spirit of making email better every year at an event we organize in Cologne. There, certified senders can get into an ideas exchange with other companies,” she said, adding that the CSA Summit 2019 will be the sixth edition of the event. But how has the new General Data Protection Regulation affected email marketing and how did the sector get prepared before its arrival? Julia explained: “It is still a little early to determine how the GDPR has affected email marketing. The Data Protection Authorities are still not clear on some points, such as consent for people under the age of 16. But there is no doubt that, since May, organizations are continuing to send emails, although with a stronger focus on data protection. Event Report from Emailing 2020 Conference in Prague - deliverability and the benefits of CSA Certification.